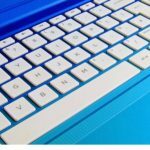 Keyboard cleaning is a service that involves the overall removal of dust/debris, bacteria/germs, and harmful residues from inside and outside. The most important purpose of deep cleaning and sanitising the keyboard is to eliminate pathogens to promote a healthier environment. 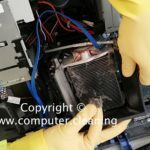 Besides health benefits, a professional keyboard cleaning also focuses on the physical maintenance services of the device. This, as a result, helps to prolong the lifespan and ensures that the keyboard device function efficiently. 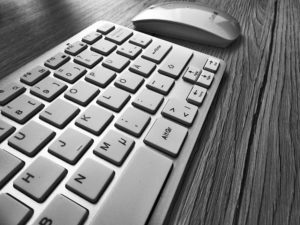 A keyboard is usually the most germ infected items in your office. A contaminated keyboard contains more bacteria than a toilet seat. Dirt and dust can also affect the performance of a keyboard. Equipment retains a near-new appearance. Keyboard cleaning prevents breakdowns and overheat. Staff are happy with their working environment. Keyboards are sanitised so germs are removed, this is especially important in the winter months when colds and flu outbreaks are common. It is kind to the environment, better to clean a dirty keyboard than add to our landfills. 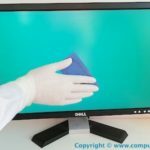 In a recent study; researchers from various fields have performed numerous case studies that have found pathological agents, which can cause food poisoning, diarrhoea, and flu among other illnesses, on keyboards used in their facilities. The Sun News; your keyboard is 20,000 times dirtier than a toilet seat. [The Sun]. Another research conducted by the University of Arizona last year found the average office keyboard has 400 times more bacteria than the average office toilet seat. [BBC News]. ✓ Our keyboard cleaning specials retain and improve the cleanliness states of your keyboards. ✓ Provide you keyboard cleaning service at competitive rates carried out by professionally trained and ensued technicians. ✓ Use eco-friendly cleaning solutions where possible. A more efficient method is to use compressed air. Compressed air is pressurised air contained in a can with a very long nozzle. 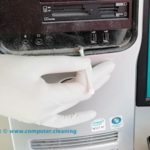 To clean a keyboard using compressed air aim between the keys and blow away all of the dust and debris that has gathered there. A vacuum cleaner can also be used, but make sure the keyboard does not have loose “pop off” keys can be sucked up by the vacuum. After the dust, dirt, and hair have been removed. Spray a disinfectant onto a cloth or use disinfectant cloths and rub each of the keys on the keyboard. Never spray any liquid onto the keyboard. 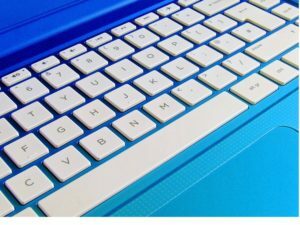 The keyboard and keys are cleaned with an aqueous base industry approved cleaning solutions. All marks which are practicable to remove will be removed. we aim to restore the equipment as closely as possible (and within the bounds of reasonable practicability) to its original condition and appearance. Complete achievement (if achievable) of this will usually take two or three cleans. Obviously, the degree of success will depend on the age of the keyboard and the degree of abuse to which it has been subjected. Generally, we would expect to remove biro marks, sticky labels and other marks which have not permanently damaged the sub-structure. If you spill a liquid onto your keyboard, disconnect the keyboard, turn it upside down and shake it gently to get as much liquid out of the keyboard as you can. With the keyboard turned upside down use a paper towel or cloth moistened with water and try to wipe off the top of the keyboard. Let the keyboard sit upside down overnight to dry off. For free cleaning quote or further information contact us. How to Clean a Keyboard?